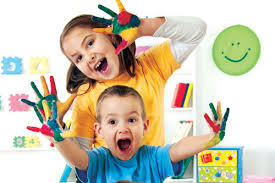 We offer half day or full day preschool classes, two, three, four or five days a week. Programs are designed for the days listed. The school hours are Monday through Friday from 8:30am until 4:00pm. Morning classes are 9:00am to 1:00pm. Our Full Day Preschool is from 9:00am to 3:00pm. Aftercare is from 3:00pm to 4:00pm. An introduction to school for children 2 years of age. A class for children that might need that one extra year to strengthen concepts; learn to sit for a longer period of time, work on fine-motor skills, such as writing and staying in the lines when coloring. Children do not repeat our already successful Pre-K curriculum. This class bridges the year between preschool and kindergarten with a fun, challenging experience that prepares them academically and emotionally for their next stage in life. Extend your child’s day with us, in addition to another school. It is a 1/2 day program offered as a morning or afternoon session. To be eligible for our “Almost like School” or 2’s program, children must be 2 years of age. To be eligible for our 3’s program, children must be 2 1/2 years old by September 1st. (2—3 year olds do not need to be toilet-trained). To be eligible for our 4’s program, children must be 4 years old by February 1st. To be eligible for our Pre-K program , children need to be eligible for kindergarten the following September. Kindercapers follows the Montgomery School District’s Yearly Calendar.